Gator Paper offers a wide variety of printed cups or personalized cups, better known as cold paper cups. Our line of custom printed Cold Paper Cups have a high-gloss outside finish. They are printed in Hi-Definition, full-color to give you the best impression available on disposable cups. These printed paper cups are built to handle cold carbonated beverages! These inexpensive disposable cups are perfect when advertising your logo/brand to your customers whether it’s for your business, weddings, parties ,and more. Send us your logo and take advantage of custom cups. Cold Paper Cups are great for soda, milk shakes, water and ice tea. 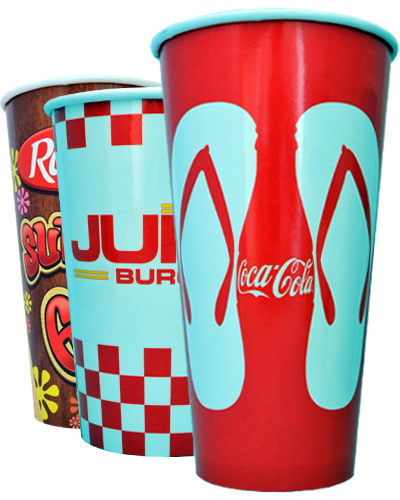 Enhancing your branded message through cup printing to your customers has never been so easy! Perfect paper cup for any fast food restaurant! Custom printed Cold Paper Cups are a great way to enhance your brand without breaking the bank! What is the minimum order requirement for Cold Paper Cups? Custom printed Cold Paper Cups have a 1,000 piece minimum order requirement. 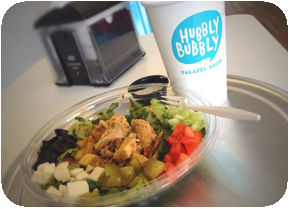 Our small order requirements and short production times make this cup a perfect fit for any fast food restaurant. How long will my Custom Printed Cold Paper Cup order take for production? What are your paper cup printing capabilities? Need a price quote on Custom Printed Cold Paper Cups? Contact us today! Did someone say custom printed Coffee Cups? Well, you have come to the right place! Check out our full line of custom printed Hot Paper Cups!